Their CDJ 2000’s and legendary DJM mixer have become a staple in the dance music scene, and for good reasons; but now Pioneer is introducing the XDJ-RX, a system that replaces your bulky CDJs and your travel-ready controller in one fell swoop. Running off of Rekordbox, the XDJ-RX can run as a standalone system via USB thanks to a sleek looking hi-res display. Because this display is a single display lying directly above the two channel mixer, the XDJ-RX caters to Serato fan boys with stack-able wave forms, a feat that no other competing controller can attest to. 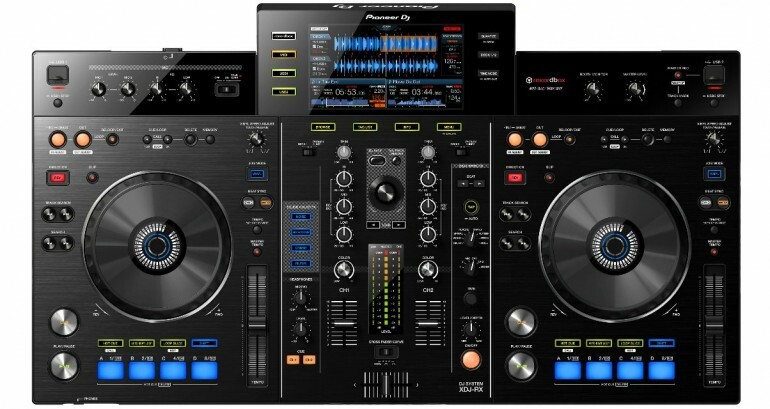 On top of its standalone capabilities, this new Pioneer system can also serve as a midi controller for the die-hard controller-ists who desire the vast capabilities that various DJ programs lend you with the addition of a computer. I personally can’t wait to get my hands on one of these. The additional functionality of this system as a two channel mixer can open up a wealth of new creative opportunities when conjoined with my Technic mkII’s, while still allowing me to practice and travel with a set-up very similar to the traditional CDJ standards. In short the potential is huge, and we can’t wait for its release in February for $1799 USD. In the meantime check out the Pioneer website for more information and the video preview below to see if this might be your next investment. y u no make it 4 channels? No you wouldn't. This unit has everything you need. The USB and link is the same as the 2000's, the platters are better than then2000's, and it has most of the other features from the 2000 and the 900 mixer (with some fancy extra bits) so why spend all that money when you can get this? I'm positive a 4ch version will come out and it will have 8 pads on each player for starters, as well as more fancy features. because they have to save something for the upgrade once everyone has bought these ones. Also from an aesthetic point of view this thing looks off to me. Something not quite right about how everything is layed out.